Joost ter Burg joined Hartman LMH as a partner in October 2015. He specializes in general and notarial company law, with extensive experience in the field of domestic and cross-border mergers, acquisitions, corporate restructuring and incorporation of legal entities. 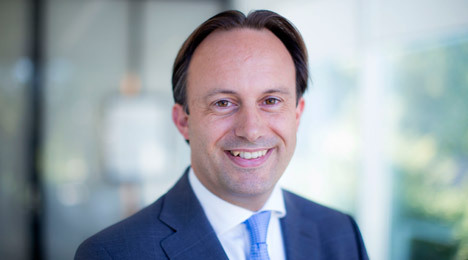 Joost also renders legal advise on corporate governance, joint-ventures and other forms of business cooperation. Advising start-ups, family companies and multinationals is part of his daily practice and he frequently works in close cooperation with other specialized advisors. After obtaining his notarial law masters degree in 2001 at Leiden University, Joost worked at the law firms NautaDutilh N.V. and Voorneman Geenen Notarissen. During law school Joost studied a semester in San Francisco at UC Hastings College of the Law and this knowledge is often applied when advising non-Dutch clients. Following law school Joost completed two postgraduate training programs, being the customary notarial program and the Grotius program company and business law. Joost has given various courses in his field of expertise, amongst others on the simplification of Dutch company law, limited liability partnerships and cooperative associations. He is a member of the Association Notarial Company Law Specialists.